A sort of pasta for potato lovers . These are small Italian dumplings made from potato and flour (traditionally buckwheat flour) and shaped into small ovals with a ridged pattern on one side. They can also be made from semolina flour, as they are in Rome. 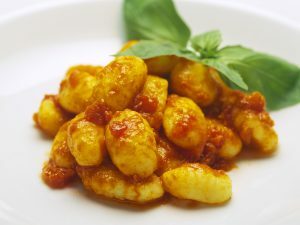 Gnocchi are often poached and then cooked au gratin (with breadcrumbs and grated cheese) in the oven and served as a hot starter. 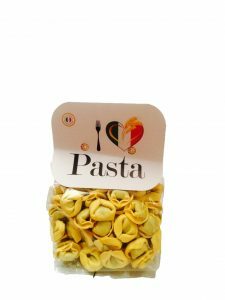 Tortellini is ring-shaped pasta made from durum wheat and eggs, and stuffed with spinach and ricotta cheese. The pasta for this tortellini is extremely silky and supple, which makes it excellent with the creamy ricotta-and-spinach filling.